Thierry Henry has won the most Golden Boot awards with four. The leading goalscorer in a given Premier League season. The Premier League Golden Boot is an annual association football award presented to the leading goalscorer in the Premier League. For sponsorship purposes, from 1994 to 2001 it was called the Carling Golden Boot and from 2001 to 2004, the Barclaycard Golden Boot; as of 2015, it is referred to as the Barclays Golden Boot. In addition to the trophy, winners of the Golden Boot are usually given £1,000 for every goal they scored throughout the season to donate to a charity of their choice, although Robin van Persie was given £30,000 after scoring 26 goals in the 2012–13 season. The Premier League was founded in 1992, when the clubs of the First Division left The Football League and established a new commercially independent league that negotiated its own broadcast and sponsorship agreements. The newly formed league had no sponsor for its inaugural season until Carling agreed to a four-year £12 million deal that started the following season, and it was simply known as the Premier League in its first year. As a result, the award was called the "Premier League Golden Boot" when Teddy Sheringham received the inaugural award in 1993. Originally consisting of 22 teams, the league contracted to 20 teams after the 1994–95 season; this reduced the number of games played from 42 to 38. 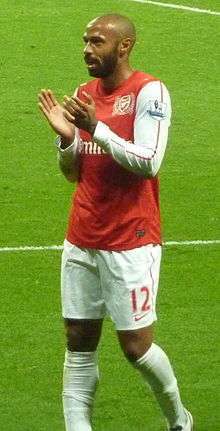 Thierry Henry has won the Golden Boot on four occasions, more than any other player. 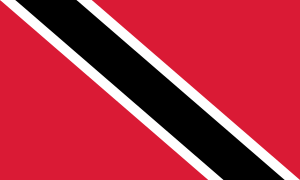 Jimmy Floyd Hasselbaink and Dwight Yorke were the first non-English and non-European winners, respectively, when they shared the award with Michael Owen in 1999. Alan Shearer is the only player other than Henry to win the award in three consecutive seasons. Phillips, Henry, Cristiano Ronaldo and Luis Suárez won the European Golden Shoe in the same season as the Premier League Golden Boot, with Henry achieving this on two occasions (2004 and 2005). Shearer, Hasselbaink and Van Persie are the only players to win the Golden Boot with two clubs. Andy Cole and Shearer – with 34 goals in 1993–94 and 1994–95, respectively – scored the most goals to win the Golden Boot,[upper-alpha 1] while Nicolas Anelka scored the fewest to clinch the award outright, with 19 goals in 2008–09. The all-time record for lowest number of goals scored to be bestowed the award, however, is 18 goals; this was achieved during the 1997–98 and 1998–99 seasons, when the award was shared between three players both times. 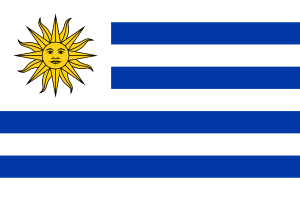 The latter season marked the last time the Golden Boot was shared until 2010–11, when Dimitar Berbatov and Carlos Tevez both scored 20 goals that season to tie for the award. Suárez recorded the highest goals-to-games ratio to win the award, scoring 31 goals in 33 games in 2013–14 for a rate of 0.94. Teddy Sheringham won the inaugural Premier League Golden Boot in 1993. Cristiano Ronaldo, the 2008 winner, is one of four players to win the European Golden Shoe alongside the Golden Boot. 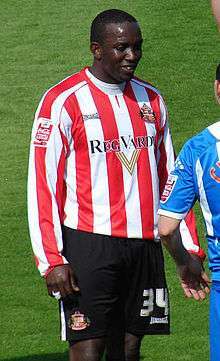 Dwight Yorke, the 1999 co-recipient, is the first winner of the Golden Boot from outside Europe. Alan Shearer (left) and Robin van Persie (right) won consecutive Golden Boot awards with two clubs. ↑ Cole and Shearer won the Golden Boot when the Premier League still operated a 42-game season. Shearer, Cristiano Ronaldo and Luis Suárez scored the most goals in a 38-game season with 31 goals in 1995–96, 2007–08 and 2013–14, respectively. ↑ This does not necessarily match the total number of games in a season. ↑ From the 1995–96 season onwards, the Premier League was reduced from 22 teams to 20, thus reducing the number of games in a league season from 42 to 38. 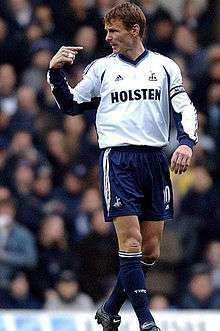 ↑ Teddy Sheringham scored his first goal of the 1992–93 season as a Nottingham Forest player, while the rest of his goals were scored for Tottenham Hotspur following his transfer in August 1992. 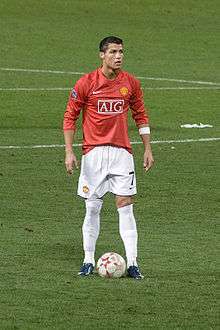 1 2 When rounding to three significant figures, Ronaldo's goal ratio in the 2007–08 season was 0.912, while Drogba's 2009–10 ratio was 0.906. ↑ Arsenal's official website incorrectly lists Van Persie as having played 37 games in the 2011–12 season. He played all 38 games, as confirmed by the Premier League. "Van Persie wins Premier League Golden Boot (1992–2012 Golden Boot Award winners list)". Arsenal.com. Arsenal FC. 14 May 2012. Retrieved 7 October 2013. 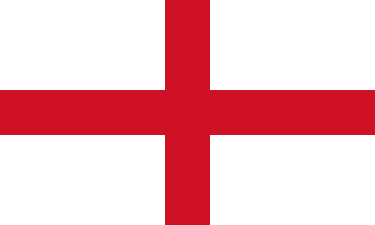 "A brief history of the English top division – List of Honours (List of Premier League champions)". ESPN FC. ESPN Internet Ventures. 1 July 2012. Archived from the original on 3 February 2014. Retrieved 2 January 2014. ↑ "Premier League Awards". Premier League. Archived from the original on 10 December 2006. Retrieved 1 January 2014. 1 2 3 4 5 "History of the Premier League". Premier League. Retrieved 1 January 2014. 1 2 3 "Ronaldo & Ferguson win top awards". BBC Sport. BBC. 14 May 2008. Retrieved 3 January 2014. ↑ "Van Nistelrooy has final say". The Daily Telegraph. 14 May 2003. Retrieved 1 January 2014. 1 2 "Robin van Persie retains Barclays Golden Boot Award". Premier League. 22 May 2013. Retrieved 7 October 2013. ↑ Doyle, Joe (22 May 2013). "Van Persie picks up Premier League Golden Boot". Goal.com. Perform Group. Retrieved 15 January 2014. ↑ Jones, Peter (19 January 2001). "Why Carling called time on Premiership". BBC Sport. BBC. Retrieved 1 January 2014. 1 2 3 4 5 6 7 8 9 10 11 12 13 "Top Ten – Golden Boot". Sky Sports. May 2010. Retrieved 7 October 2013. ↑ Ascough, Phil, ed. (7 May 2012). Kissing the Badge: How much do you know about 20 years of the Premier League?. A & C Black. ISBN 9781408178539. Retrieved 4 January 2014. 1 2 3 4 Whooley, Declan (23 December 2013). "Will Luis Suarez break the Premier League goal scoring record this season?". Irish Independent. Retrieved 4 January 2014. 1 2 Pontes, Carlos (14 September 2008). 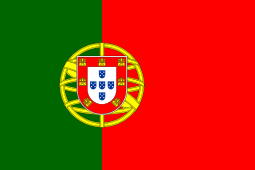 "Ronaldo receives Golden Boot in his native Madeira". Reuters. Retrieved 7 October 2013. 1 2 3 "Golden Shoe fits for Thierry Henry". Arsenal.com. Arsenal FC. 31 May 2005. Retrieved 7 October 2013. ↑ "Premier League 2012–13: the season in numbers". The Guardian. 20 May 2013. Retrieved 5 January 2014. ↑ "Stat attack: Liverpool's season in numbers". Liverpool Echo. 12 May 2014. Retrieved 13 May 2014. ↑ Dumont, Albert (24 May 2009). "Nicolas Anelka Wins Premier League Golden Boot". Goal.com. Perform Group. Retrieved 4 January 2014. ↑ Carr, Paul (23 May 2011). "Statistical breakdown of EPL season". ESPN. ESPN Internet Ventures. Retrieved 4 January 2014. ↑ Martin, James (2 June 2011). "Dimitar Berbatov's bizarre season". ESPN. ESPN Internet Ventures. Retrieved 4 January 2014. 1 2 "Luis Suarez & Tony Pulis win Barclays Premier League awards". BBC Sport. BBC. 13 May 2014. Retrieved 13 May 2014. ↑ Bevan, Chris (14 March 2014). "Why Luis Suarez is on course to make Premier League history". BBC Sport. BBC. Retrieved 13 May 2014. ↑ "Roller-coaster years". BBC Sport. BBC. 7 May 2001. Retrieved 30 November 2013. ↑ "Player Profile – Teddy Sheringham". Premier League. Retrieved 7 October 2013. 1 2 3 "Van Persie follows in Shearer's footsteps". FIFA.com. FIFA. 20 May 2013. Retrieved 7 October 2013. ↑ Lomas, Mark (24 May 2010). "Dublin: Rooney the cream of the crop". ESPN. ESPN Internet Ventures. Retrieved 7 October 2013. 1 2 3 "Question Nobody asked". Irish Independent. 25 January 2010. Retrieved 7 October 2013. ↑ "Phillips nets Golden prize". BBC Sport. BBC. 29 July 2000. Retrieved 7 October 2013. ↑ "Chelsea clinch Uefa Cup spot". BBC Sport. BBC. 19 May 2001. Retrieved 7 October 2013. ↑ "Van Nistelrooy nets Golden Boot". BBC Sport. BBC. 11 May 2003. Retrieved 7 October 2013. ↑ "Drogba collects Golden Boot award". BBC Sport. BBC. 18 May 2007. Retrieved 7 October 2013. ↑ Prentice, David (23 December 2013). "Suarez, MacKay, Dalglish... now how about some appreciation for Rodgers?". Liverpool Echo. Retrieved 22 January 2014. ↑ Herman, Martyn (24 May 2009). "Anelka tops Premier League scoring charts". Reuters. Retrieved 7 October 2013. 1 2 "Berbatov, Tevez share Premier League 'golden boot' on drama-filled last day". The Sofia Echo. 23 May 2011. Retrieved 7 October 2013. 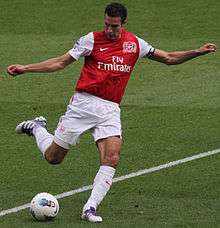 ↑ "Player Profile – Robin Van Persie". Premier League. Retrieved 7 October 2013. ↑ "Van Persie wins Premier League Golden Boot". Arsenal.com. Arsenal FC. 14 May 2012. Retrieved 7 October 2013. ↑ "Aguero and Hart seal Golden Awards double for Man City". Premier League. 25 May 2015. Archived from the original on 26 May 2015. Retrieved 26 May 2015. ↑ "Tottenham's Harry Kane clinches Premier League Golden Boot". Sky Sports. 15 May 2016. Archived from the original on 26 May 2015. Retrieved 15 May 2016.